Paul McCartney has had a children’s book about being a granddad in the works. 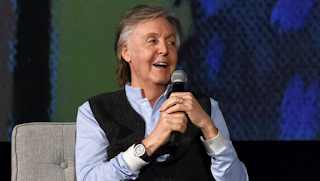 Paul could be considered an expert grandfather as he has eight grandkids — who were the inspiration behind his new book. "Well, I’ve got eight grandchildren and they’re all beautiful and one day one of them said to me, ‘Hey Grandude!’ I said, ‘What?’ I thought, ‘I kind of like that,’ so from then on I was kind of known as Grandude."